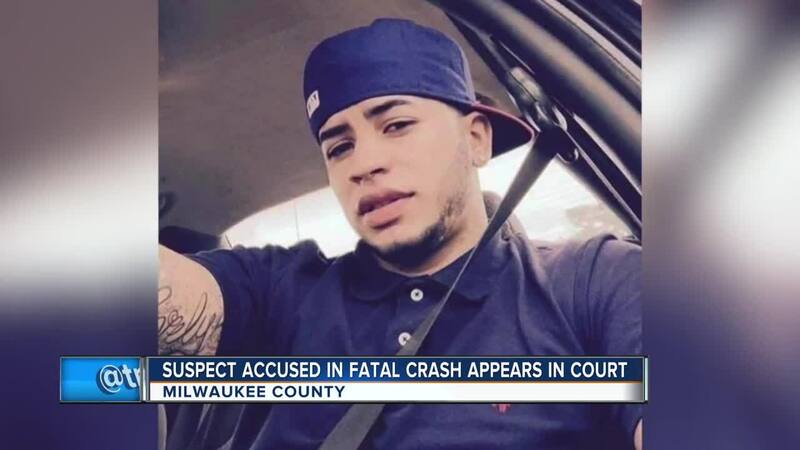 The man accused of crashing into a vehicle during a high-speed chase with police that killed the driver allegedly was involved in an armed robbery just one day before the crash. Robert Matagi faces three counts for his alleged involvement in a crash near 13th & Morgan that killed Pedro Colon-Ortiz. The three charges are second degree reckless homicide, flee/elude officer resulting in the death of another and hit-and-run resulting in death. If found guilty, he faces up to 65 years and up to $250,000 in fines. However, this isn't Matagi's first run in with the law. It's also not his first in the last week. "He has an open case and warrant status in Lacrosse County for armed robbery," Assistant District Attorney Carole Manchester said. "The incident date from that charge is one day prior to this incident." The criminal complaint says Matagi was driving at high rates of speed on the freeway shoulder. When police tried to stop him he took off, exiting at Holt Ave. before crashing into Colon-Ortiz's car near 13th & Morgan. Police data says his car was going 85 mph at the time of the crash and the accelerator pedal was at 93 percent with the engine throttle at 99 percent. After the crash, Matagi took off on foot but was caught a short time later. The state and the defense agreed on a $100,000 bail recommendation, but the court decided to increase it to $250,000. "Anybody so desperate to avoid consequences that they would flee from police and risk their own life and lives of every single other person on the street, whether driving, walking or in buildings, I have no confidence they will return to court simply because we ask them to," Court Commissioner David Sweet said. Matagi is due in court for a pretrial hearing April 24.